Halloween is over, the shops have started stocking Christmas gifts, and it's dark at 5pm. That can only mean one thing - it's bonfire night soon! 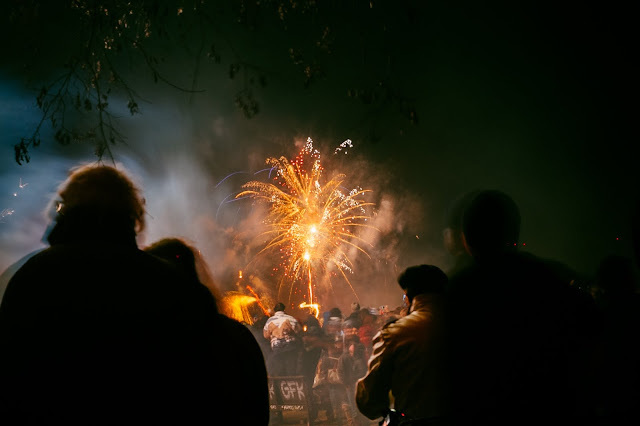 Unless you’re one of the premature mid-week firework types, I imagine you’ll be heading out this weekend to a bonfire and firework display, so we’ve put together a few tips and tricks for you so you can take your camera along and hopefully capture some excellent firework photos. Fireworks can be a difficult subject to shoot, but a few accessories and a bit of forward planning will make the task much easier. You should aim to shoot your images as early in the display as you can, before the inevitable smoke and haze builds up as the show goes on and obscures your view. 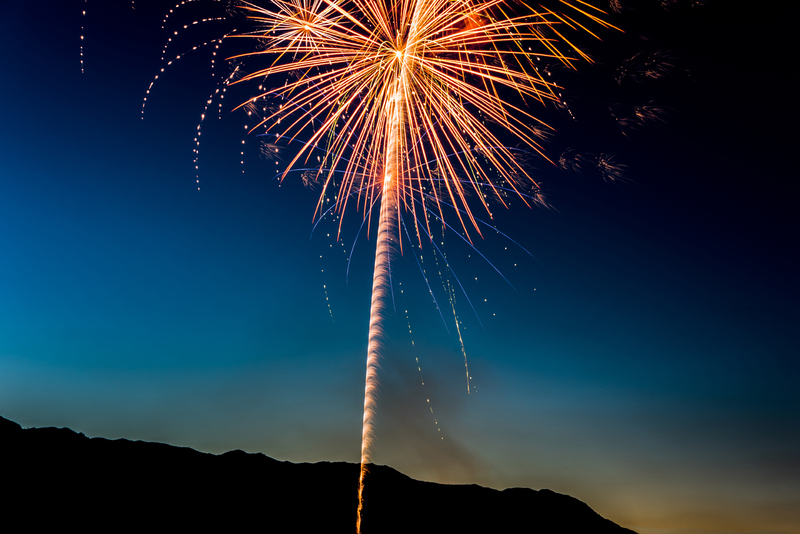 What kit do you need to take awesome firework photos? Firstly, a tripod. A tripod will enable you to use a long exposure time and allow the firework bursts to expose on to your image and build up gradually. Set your camera up so you have an unrestricted viewpoint - avoid bright areas in your set-up - it's not a good idea to have a bonfire in the foreground for instance as this will 'burn out' in your shots, but it can be nice to have some objects that will silhouette in your images like trees or even people back-lit by the fireworks. Try to avoid shooting in crowds for a couple of reasons: you don’t want someone inadvertently knocking your tripod while you’re shooting a long exposure, and you’ll find it tricky to get a clear shot of the fireworks. Don’t forget to take a torch with you so you see the ground you’re setting up on and the settings on your camera, unless you have a backlit control panel or lit up buttons. A remote cord or remote control is useful too. These mean you don’t have to touch the camera to set it up or fire the shutter so you’ll get a smooth exposure without any hand-wobble. You can use the self-timer on your camera, but this makes it harder to judge when to fire the shutter so I’d recommend using a remote release if you can. 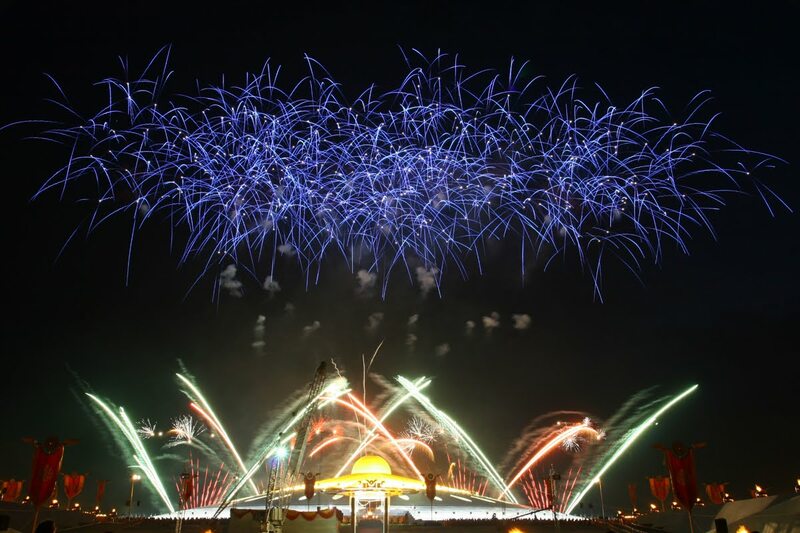 What settings do you need for great firework photos? I suggest using an ISO setting of about 100 and an aperture of around f/8. A standard zoom lens or 50mm equivalent will be fine. Manual focus set to infinity is the way to go for focusing and set your white balance to cloudy for a slight lift in warmth for the final image. Set the camera to Bulb mode or even better if it has a T setting. In Bulb mode, the camera shutter remains open for as long as the shutter button is held down - as soon as you release the button the shutter closes and the exposure ends. In T mode, the shutter opens when you press the release but then remains open until you press it again. How do you know when to shoot? Aim your camera at where the fireworks are bursting and try a shot for around 30 seconds to begin with, that should be enough to record one or two bursts. Check the image and make sure it is not over or underexposed. 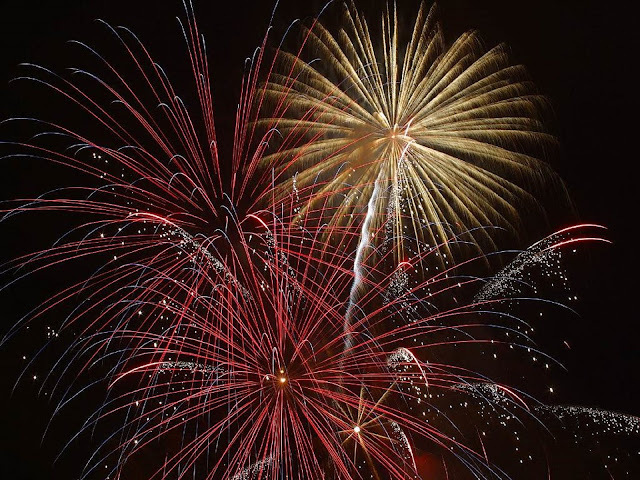 If it’s all OK then you can open the shutter again, but this time use a piece of black card to cover the lens - only remove the card when the firework bursts then immediately cover the lens again. Repeat this for 3-4 bursts and then close the shutter - you have now recorded several bursts on one frame. Check the image again and if all is OK repeat for the rest of the display. If your image is over-exposed, try stopping the aperture down to f/11 - if underexposed either open the lens up to f/5.6 or increase the ISO to 200. If you are fortunate enough to own an Olympus Micro Four Thirds camera with LiveBulb, you can open the shutter in this mode and watch on the rear screen as the image builds up. Once you are happy with the image, end the exposure. This takes a lot of the guesswork out of shooting this type of image. What else can you shoot at bonfire and firework displays? Bonfire and firework displays are normally accompanied by sparklers, so while you have your camera and tripod why not try some creative shots by 'painting with light'. Set the camera up on bulb mode as before and get some friends and family to ‘draw’ in the air with sparklers, or even torches, while the shutter is open. 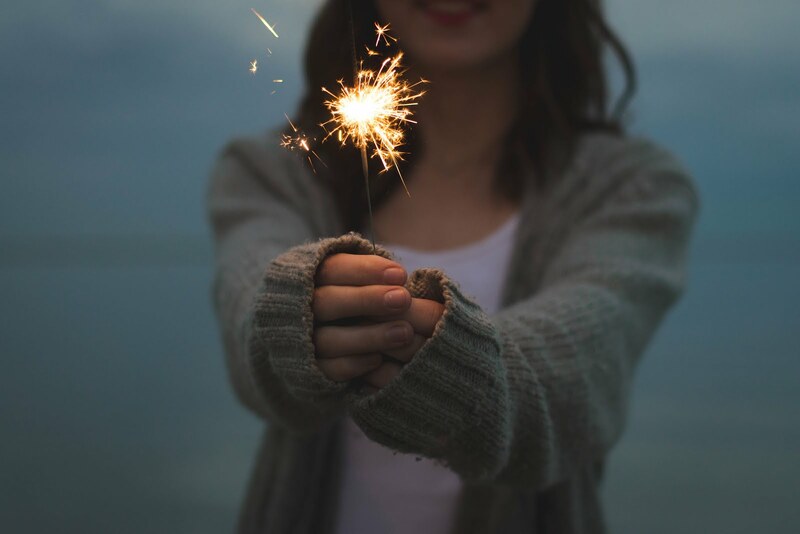 For an even better effect, get them to twirl around with a sparkler in each hand. If you are at a display with a large bonfire there will be opportunities to get some atmospheric shots of people illuminated by the light of the fire and again back-lit shots with silhouetted people are very effective too. Safety First: Always use gloves when handling sparklers, never get too close to the bonfire, and follow all safety advice given by the event organisers. No photo is worth sacrificing your safety.